Words to Live By: Happiness will be available for purchase December 15th. CLICK HERE for further product details. Text & Texture: Bokeh will be available for purchase December 15th. CLICK HERE for further product details. Penned Elegance will be available for purchase December 15th. CLICK HERE for further product details. Delicates will be available for purchase December 15th. CLICK HERE for further product details. You have until 7am ET, December 11th to leave your comment and be eligible to win. Only one comment per person please. One randomly selected winner will be posted on the December Release Winners Page by 10PM ET on December 15th. I am in love with the new bokeh stamp set! Can’t wait to see more. Today my favorites are Delicates and Penned Elegance II. Great additions to PTIs offerings. Always loved the look of bokeh….so delighted you have introduced a stamp set to easily give this effect. Also like the Penned Elegance II set in the trendy font. Have always loved the penned elegance. Excited for this set! I knew I was in trouble this month when I saw the sneak peek video. Today’s blog post confirms it – I love it all! The happiness set is a must have – great price too. Great day one presentation. Thanks for so many wonderful examples. So far my favorite is the Delicates Set. Looks like that one has great potential! Wow! It is a show stopper! Great samples. The bokeh stamp set looks awesome! A great start to this release! Love everything! The bokey set caught my eye; it’s so unique. Love the new delicates! They compliment all the new products. Another must have Text & Texture set!!! I love bokeh! Betsy wows us again! Oh, LOVE, LOVE ,LOVE, the new Text and Texture: Bokeh! Have to have it! Delicates and Penned Elegance are my favorites from today. So pretty. Every one of these is so tempting! Love them all. The “penned elegance” stamps are must haves. Lots of loveliness today – so many colorful, cheerful cards!! Brightened my day! Love the new delicates dies. 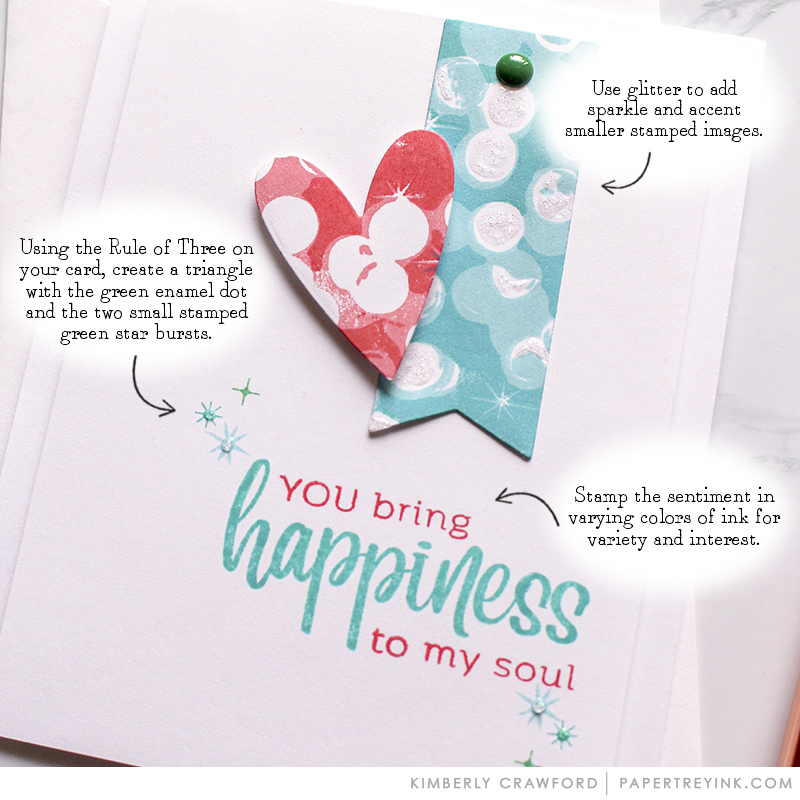 Lovely offerings today – the Penned Elegance set is full of wonderful sentiments. Love all the new word stamps and dies..the combinations are endless. The colors and written words..will brighten anyone’s day. I love the delicates dies! Perfectly named!! The words to live by are great and happiness is a wonderful addition to the collection. The penned elegance sentiments and dies are so pretty!! Looking forward to Valentines Day!! What a fun release! I love the happiness words! Great greetings… the bokeh set is amazing! Such a cool look with the layering. The delicate die-cuts are so elegant! Love the different looks the team came up with for those images. What a lovely group of cards! I love them all – especially Melissa Phillips yellow and blue cards with Delicate Dies die collection and delicate pastels. Love the new background!! Not even sure what that series is called, but fabulous! Penned Elegance is nice too. Beautiful cards, beautiful stamps and dies. What a great first day. Love all the products introduced. Beautiful card designs by the design team. Another funr release! So fresh and creative! Wow! That new Bokeh stamp is amazing!! OMG OMG OMG! What a GORGEOUS START TO the RELEASE! I love the Happiness Sentiment and the flower dies are SOOOOO Delicate and amazing! What BEAUTIFUL cards and designs by the DTs! Thank you for the chance to win! The Bokeh stamp set is stunning. PTI breaks the mold again. Geee…I wish I had the bokeh now for Christmas card backgrounds- it’s so fun. Love the pretty delicates!! And the sentiments – can’t wait to see that full set. Love the bright cards……beautiful. Can’t wait to see the rest! Wow! I’m completely blown away today! And it’s only day one? PTI never ceases to amaze! Love everything today! Oh-the new Delicates dies are so beautiful! Love the inspiration shared today with the new products! 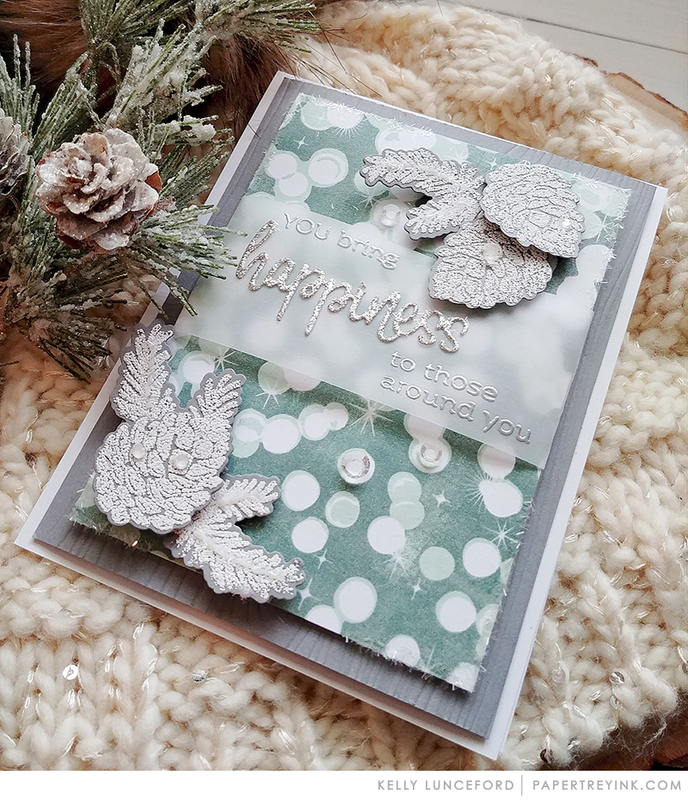 I am just not ready to leave the Christmas-themed world of cardmaking, but after seeing this post, I am convinced January with bokehs and delicates, will be fun too! really like Betsy’s multi-colored “snowflakes. It’s so cheery. Bokeh and another great Penned Elegance have captured my heart today! These sets are just awesome all of the projects are beautiful! Lots of inspiration today. Love the Penned Elegance II…I am sure I would use that set a lot. Cheers. Today’s release is the best ever! I love all of the new items – LOVE! 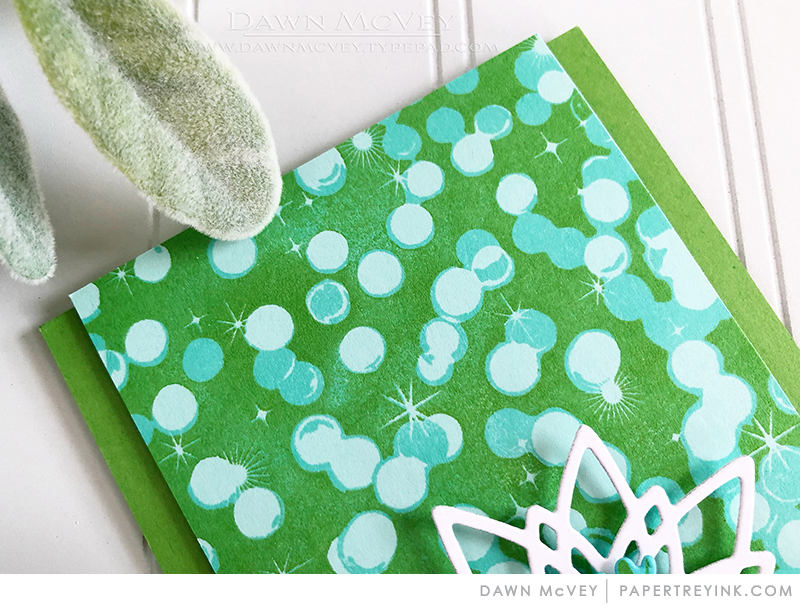 Dawn’s watercoloring touches to the Bokeh and her delicates are SOOOO pretty. 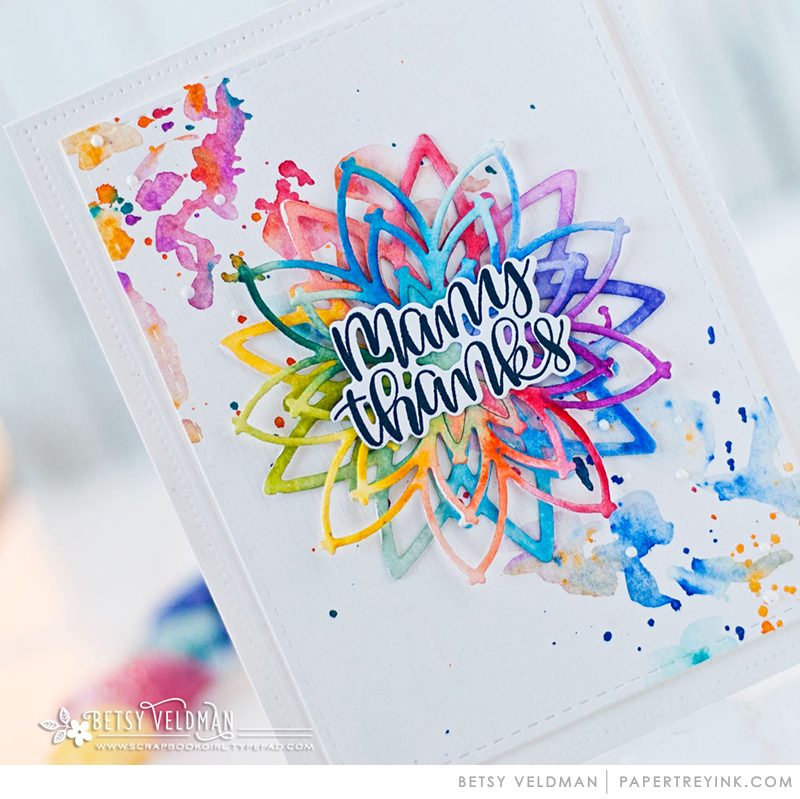 Betsey’s rainbow card with a combination of both – WOW. I adore Melissa P’s soft and sweet card with the fantastic heart frame – later, later, can’t wait. 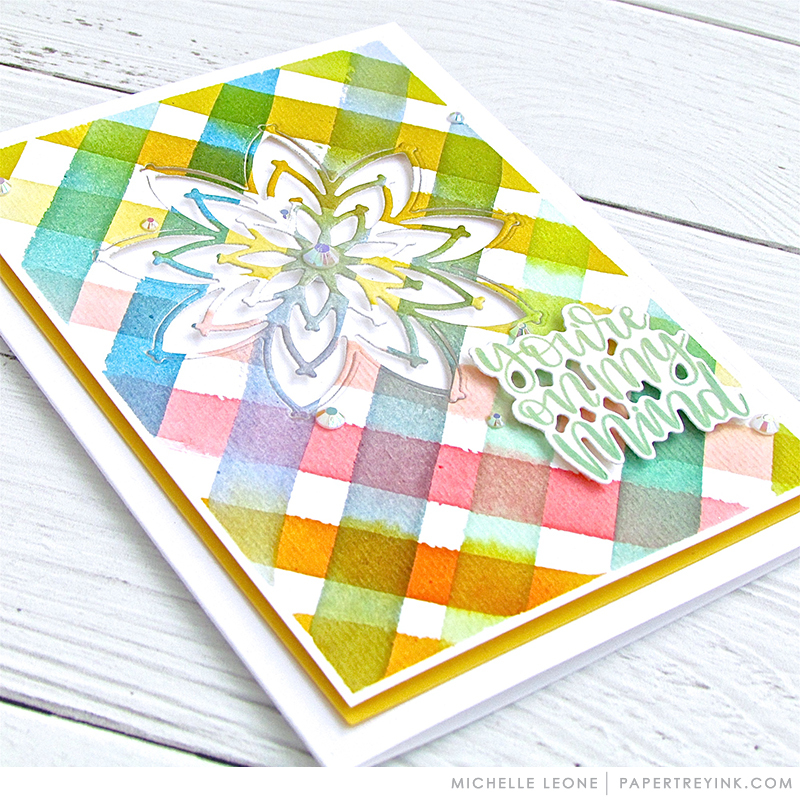 Michelle’s hand painted watercolor plaid sets of the die cuts just beautifully. 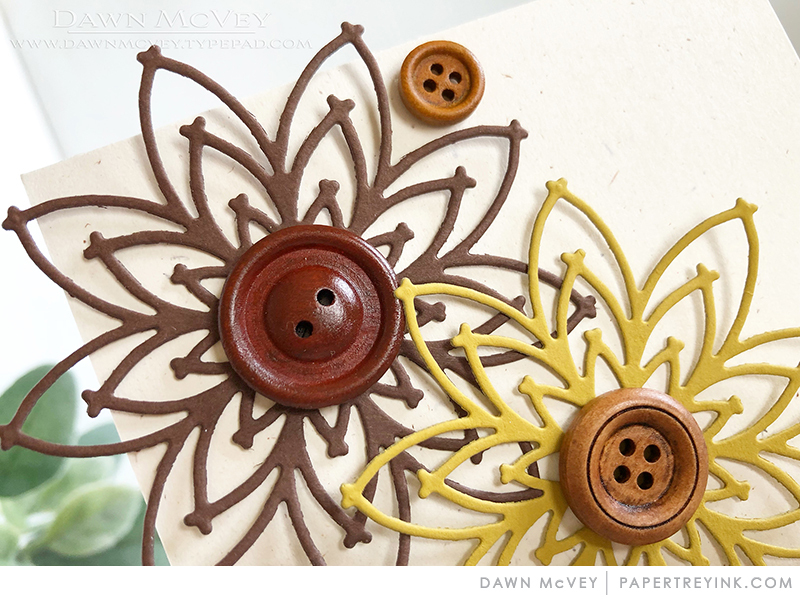 Melissa B’s modern approach and Laurie’s super stacked method – such great variations! 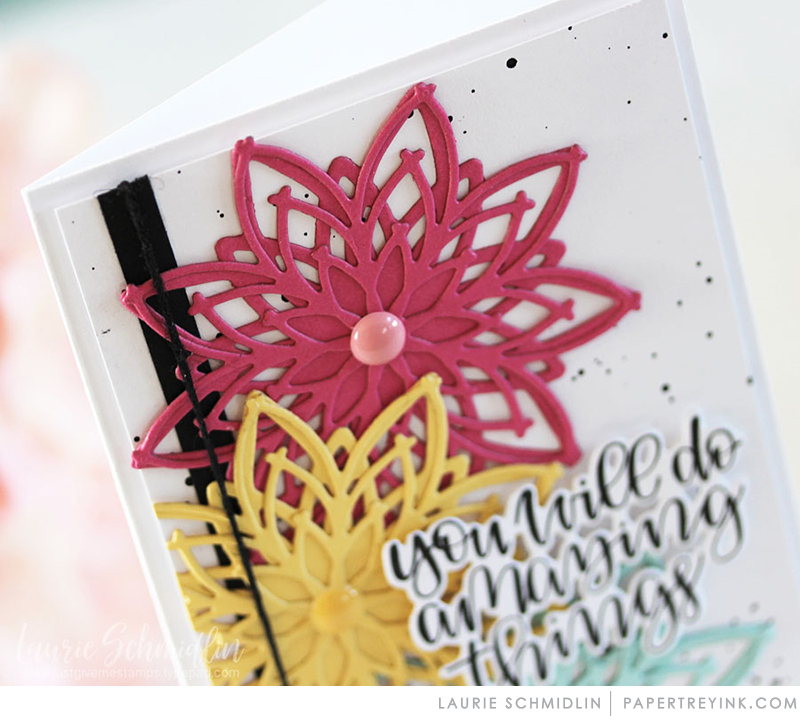 Love how Laurie’s happiness die cut looks and how the bokeh looks behind a velum cover! Kimberly’s glittery additions to the bokeh holes! Lizzy’s black sparkly happiness really sets off the bright colors. EVERYONE did such a great job on this day I can’t say enough but have already said too much, LOL. Oh my gosh! You are killing me!! 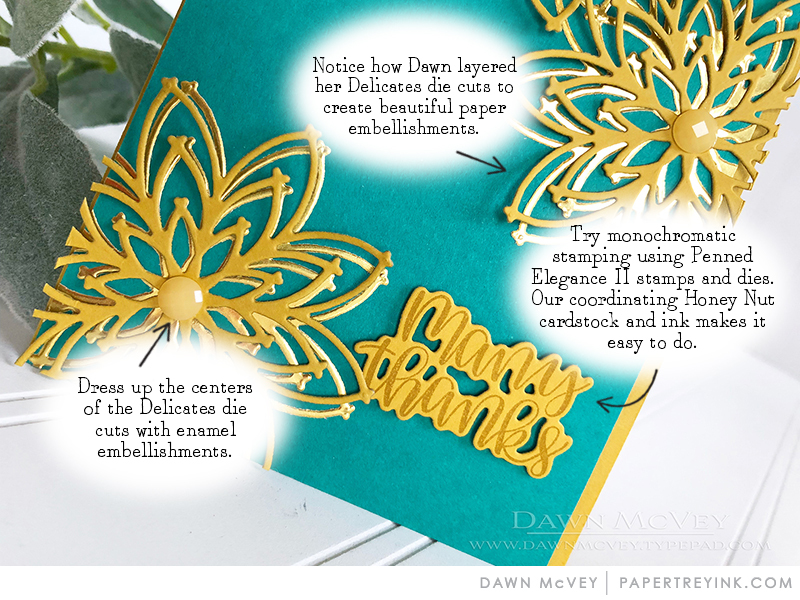 The Delicate dies and Bokeh stamp set are are must haves in book. I love all of the new products today. I am happy to see that several previously introduced products have new additions to the sets too. It’s going to be a fun release. I am in love with the new bokeh background stamp! And I’m so happy to see another set of Penned Elegance stamps, as I use the first set all the time! Some very beautiful stamps and dies. Love the Bokeh background! I’m really loving that bokeh text and texture set! Love the new Delicate dies today. And of course, Penned Elegance is a favorite. Lovely work, ladies! The bokeh set is a must have! Love this new release with such great variations! thanks for sharing. Delicates is a must have! All the samples from the design team are stunning! I love the new release! The sentiment set and dies are great! The Bokeh set looks like a lot of fun for creating! Also love the Penned Elegance set. Here’s what I shouldn’t do….look at Melissa Phillip’s projects. Here projects real me in every time. Yes to more Penned Elegance! I love everything on today’s sneak peek!!! That Bokeh background stamp is FUN! Love the projects. PTI I fell in love with the items shown in yesterday’s release video. I am excited for the 15th, my wallet is very unhappy..lol. The Bokeh stamps are like nothing I have seen before. Amazing!! And the Delicates die is to die for!! The Bokeh stamps are amazing and the Delicate die is unbelievable! Must get both! SQUEAL!! LOVING the NEW Products and the AMAZING Inspiration!! THANKS for sharing and have a FABULOUS WEEK!! Stunning products showcased so beautifully by the DT. Love these projects! wow! What a great start to a new release! Love the background and new sentiments! Dawn’s dies are so amazing! The Delicate dies are so pretty. Love the intricate detail on these dies. Also like the Bokeh stamp set. Love the new bokeh background stamp. Beautiful!! I love the bokeh background! I love the versatility of the delicates die. Exciting start for this month’s release. The new Bokeh background stamp is Amazing!! The start of another great release!! The Delicates dies are exquisite! Thrilled to see a new set for Penned Elegance! I’m excited to see more of the delicates dies! The bokeh stamp set is an unusual one and full of possibilities for many types of cards! Beautiful release! I love so much The Delicate dies!!! 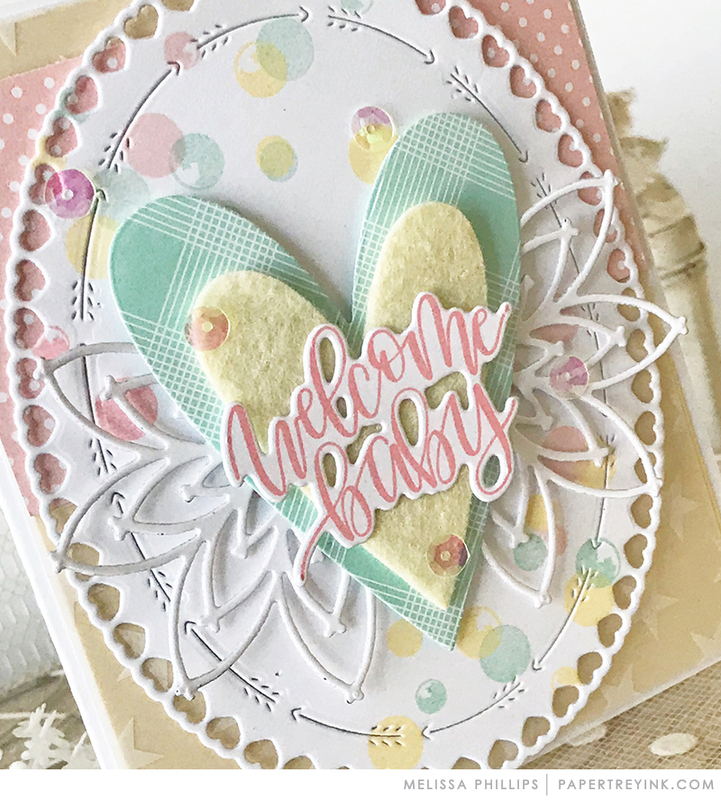 LOVE it all…especially the Delicates dies and the Penned Elegance II stamps! Love today’s showcase of new goodies! The Penned Elegance II and those Delicate Dies are gorgeous and the Bokeh background looks amazing. Love the Happiness sentiments and fonts too. 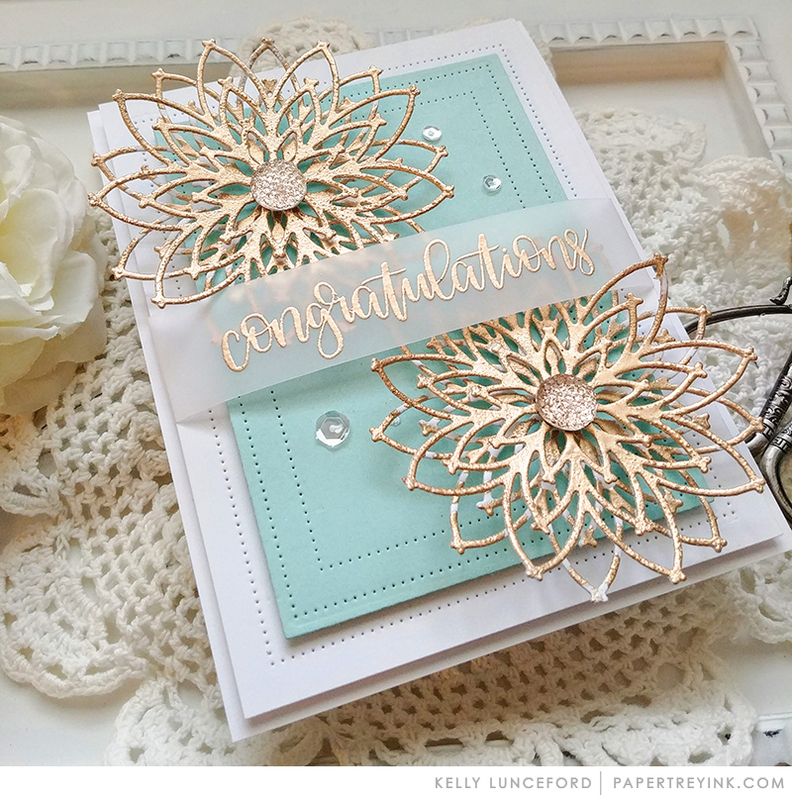 I love the new Happiness set, and the new Penned Elegance set has several sentiments that will be perfect for me to use for cards I’ll send to my daughter when she goes off to college next year. So many beautiful cards by PTI design team. Such an exciting first day release and I just love the new stamps and dies. This new release is amazing! Especially love the Delicate dies and the Text & Texture: Bokeh stamps. Absolutely love the new bokeh background stamp set! So pretty! Love the bokeh set and more penned elegance! Yay! Awesome first day, the bokeh is amazing and of course love the penned elegance! So many pretty new stamps and dies today! I love the bokeh stamps! And the new delicates dies are just gorgeous. Everything today is wonderful. The bokeh and delicate dies are very unique and special. The featured cards are always inspiring! Everything today looks positively awesome! Love Penned Elegance II. Gorgeous cards today! Happiness + Bokeh = Awesome! Love the bokeh stamp set. How unique!! Lovely the Delicate dies!! So many possibilities!! Gorgeous samples!! Love the new Penned Elegance and the Bokeh Text & Texture is beautiful. The Delicates Dies and Happiness sentiments are wonderful!! Great Day 1! I was excited to see Bokeh Text and Texture! I’ve been wanting something along those lines and this one is even better than I had imagined! Love the Bokeh background! So many possibilities…as the team has shown in their beautiful examples. 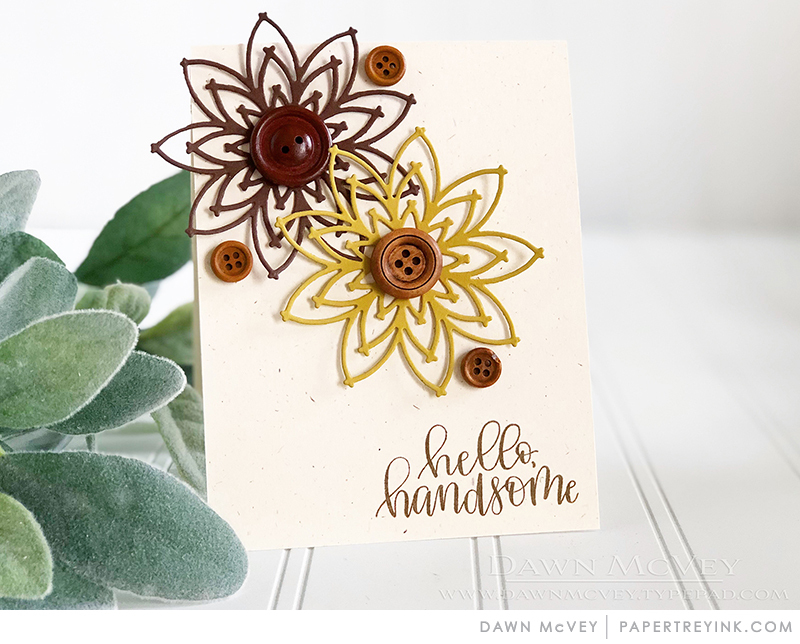 I absolutely LOVE Delicate Dies and Text & Texture Bokeh!!! Oh, I’m excited about these beautiful new dies! Loving the beautiful Bokeh set! I am in love with the new delicates dies! As always, another great release! I am so excited about the bokeh stamp. My mind is spinning with all the possibilities!! These are so elegant! I love these a lot — so versatile! The new delicate dies are beautiful. Wonderful examples and I am always grateful to see how we can use these new products prior to purchase. Thanks for the inspiration. I love the BOKEH set! Oooo, loving the bokeh background set! Really love the new Text & Texture, & the new Penned Elegance. Off to a great start for the December release! The Bokah looks like fun…the perfect BG for the new “happiness” Words to Live By. Love the new bokeh and penned elegance sets – can see these being so useful! I am a “word” girl. So in love with penned elegance two and the happiness set. I am not usually a background stamp kind of card maker but looking forward to using that Bokeh stamp! Love the Delicate Die! The Happiness set and Penned Elegance sets are just what is needed for a new year. I love all the ways you layer dies! Great ideas for us! Love the Bokeh background and everything else! The Words to Live By: Happiness is adorable. WOW! Those delicates will come in handy and I Love the Bokeh! Great samples! Melissa’s use of the new shape shifter got me again. I am really liking the versatility of the happiness set. I hope that Text & Texture Bokeh just jumps right into my cart! Gorgeous! 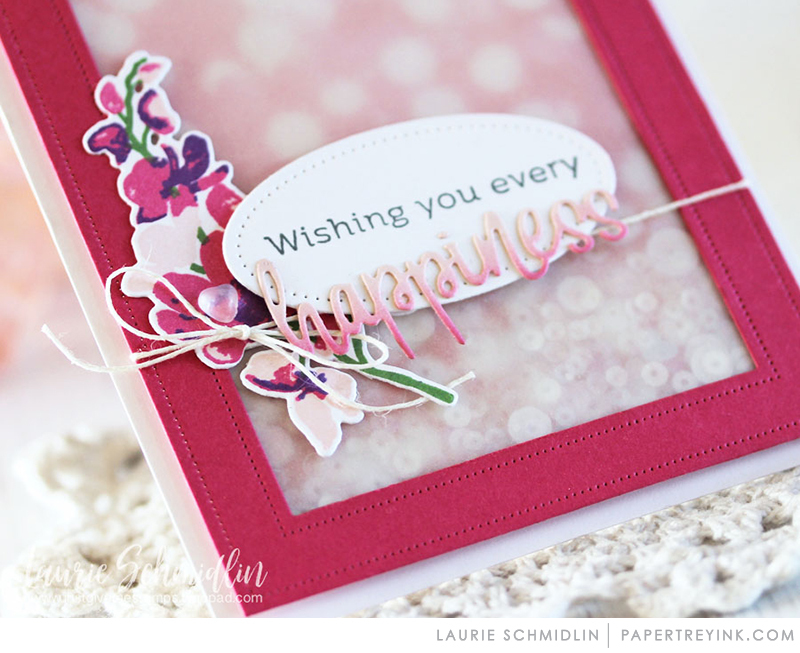 Such awesome new products–LOVE the happiness set and Dawn’s Delicate dies are amazing!! All the cards are so pretty! Love the details. Another Penned Elegance! Must have! LOVE the bokeh and new penned elegance! More stunning DT projects. Love the bokeh design, all the wonderful sentiment possibilities, and that lovely Delicates die collection! Yay for more Penned Elegance! Beautiful and unique projects today. I love the bokeh texture. It’s a great way to get a really uniform result for what can be a tedious technique. I’ll be picking this one up! All of today’s peeks are great. Oh my goodness! Those dies!!! And the fonts in the Penned Elegance and Bokeh sets are to die for!!! Love the gorgeous delicates die. What a beautiful way to kick of release week! Absolutely gorgeous new products! Love the Bokeh look and the tips on how to make it really pop! The delicate die is stunning as well. Love the new words to live by and delicates! So much lovely eye candy this morning and a great start to another wonderful release. Can’t go wrong with Happiness, more Penned Elegance, Delicate Cuts or Bokeh Stamp! How fun! Love the Delicates, Penned Elegance, Bokeh and Happiness—love all the new products and projects! What a fun background set! Gorgeous cards!! Love the new stamps and dies!! More penned elegance – yay!! Wow! These new items are all so unique. How do your designers keep coming up with these wonderful ideas? Loving Dawn’s Delicates (LOL – that sounds rude!) 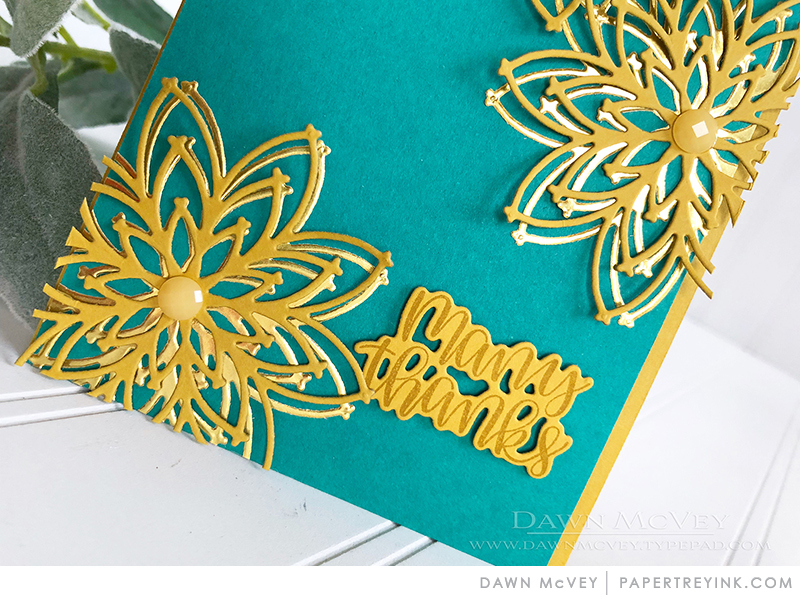 Dies – such an intricate design and so fun to layer. Love the newest background, Text & Texture: Bokeh!! Soooo cool! What a great start to release week–I am excited by it all and loved all the creativity I saw today! Love it all!! The new bokeh set, the new penned elegance set, the delicate dies … can’t wait to buy them. I love the Delicates dies and the addition to Words to Live By and Bokeh and…okay, I love them all. Once again, well done, ladies! The Bokeh set is really creative, and I love the Delicates! I already love every item and it will only continue in sure. You guys are geniuses! 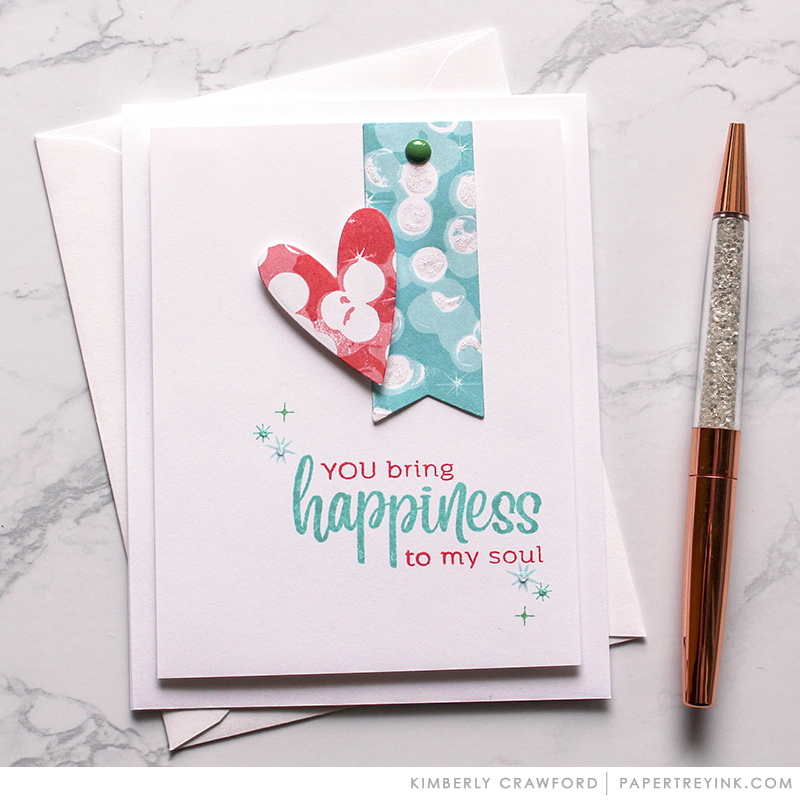 I am so loving the sentiments in the Penned Elegance set and the bokeh stamps are so fun! Love those Delicate Dies and all the cards made with them! Goodness, I love everything today!! ANOTHER PENNED ELEGANCE!!!!!!!!!!! Oh YES! I love the shape of the new heart dies and those pierced circles are divine. Oh no I can’t decide what I like the best. It’s all wonderful and today’s cards are fabulous! What a great release! 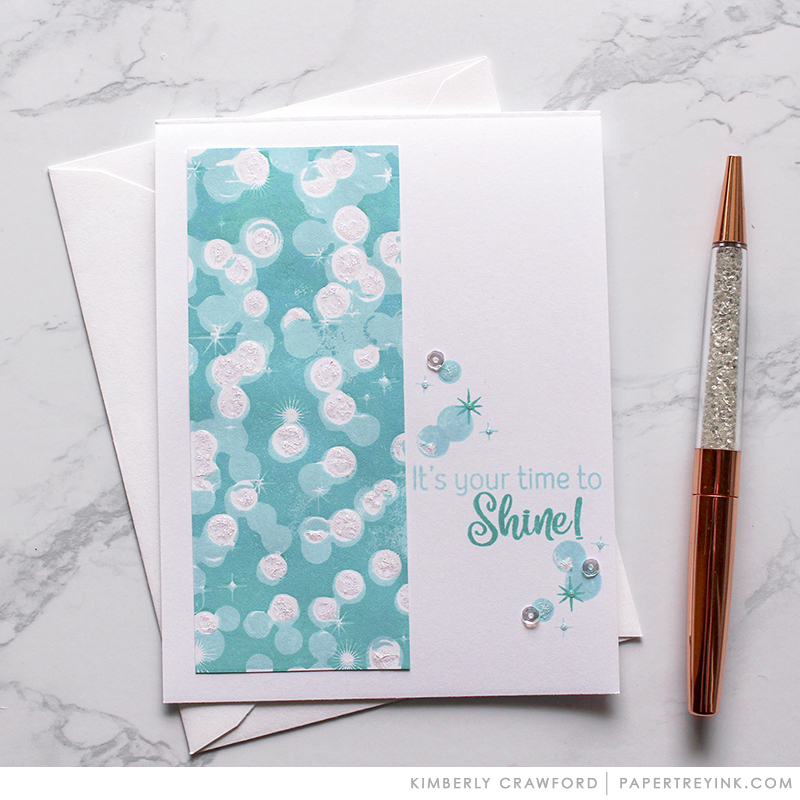 The penned elegance & bokeh stamps are the best! Ooo . . . that bokeh background is gorgeous!! So many great new products and ideas! Love the new releases every month!! Great shine! stamp! I’d like to use and glitter it. Pretty items. I do like the Penned Elegance and Delicate dies sets. Love the Penned Elegance sentiments, so glad the series continues! What cheerful sentiments and pretty die cuts, too! The Delicates die cuts and the bokeh background are terrific! Your team is always very creative! But I must admit, I do have a favorite 🌸 The delicates are lovely and quite versatile! I can see so many different ways to use them in my projects! I’m looking forward to release day! 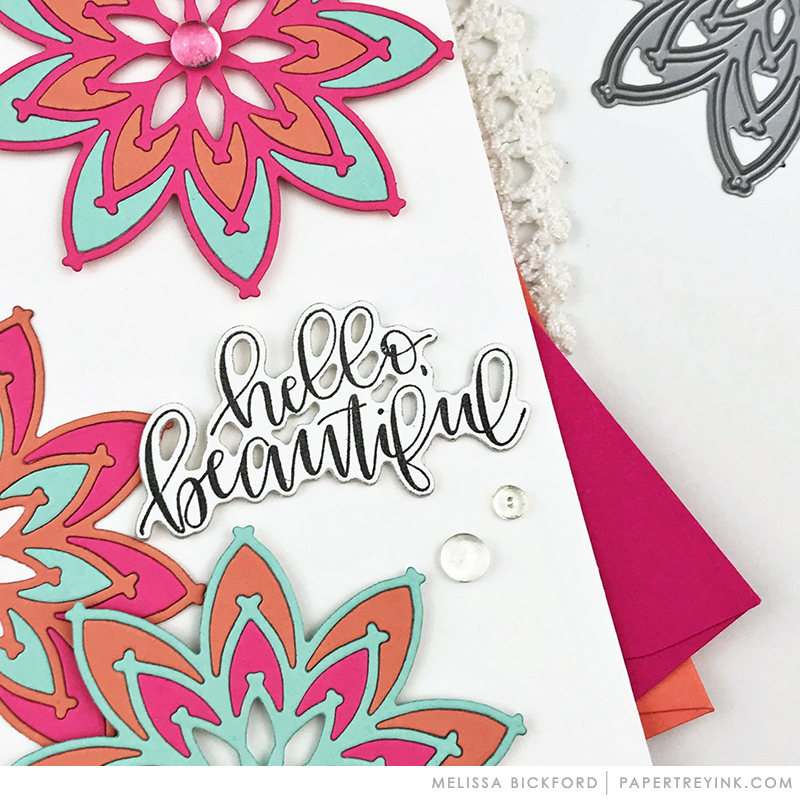 loving the new text and texture stamp set and the delicates dies! The bokeh set is very cool! 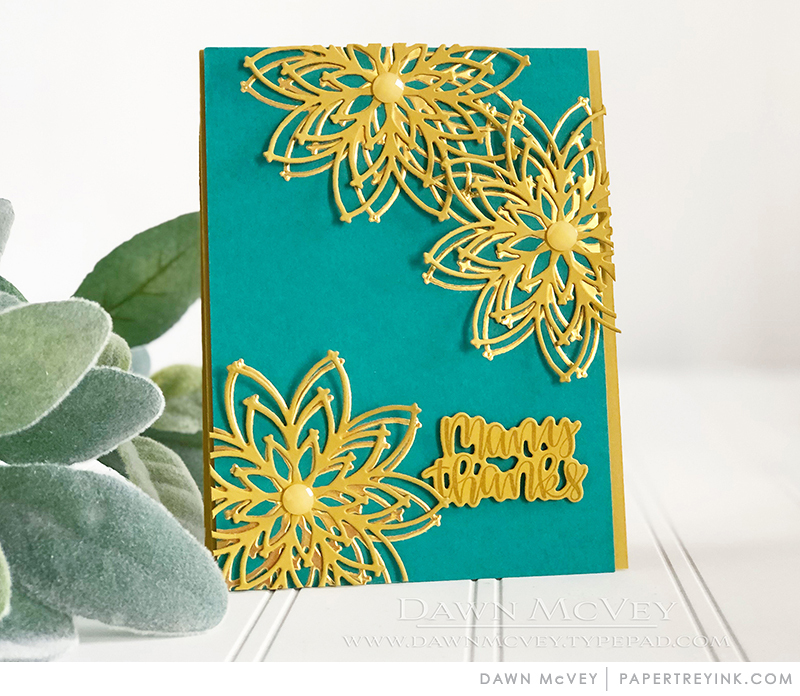 Dawn’s new die collection is beautiful! Love the happiness sentiments and the delicate dies! Beautiful! Love Dawn’s new Delicate died. So lovely! I love Dawn’s Delicates Die! And the Bokeh Text & Texture. And everything else as well but those two are my favs! Looking good for this release! Love the Delicate Dies and Bokeh stamps! Really like the Bokeh background. Really flexible design element. Wow awesome new items. All look fun. Ooohh. The Delicates dies are pretty. Great projects. I love the delicates dies! Looks like lots of lovely dies coming this month. Love the Delicates, especially with Melissa’s colour blocking. Gorgeous. So festive! I love the welcome baby card. Looking GOOD, Ladies! And this is only day 1!! Looking forward to more. Love the bokeh stamp! I love how versatile and fun Bokeh is! So many inspiring ideas; thanks to all for sharing!
! Adorables proyectos! El uso de los colores de hoy son muy bonitos. Loved the Penned Elegance set. The script is beautiful and love the variety of sentiments. Off to an amazing start. Can’t wait to see the rest of the week. The Bokeh is an eyecatcher for sure. I can see using the “Happiness” word for many different cards. Looking forward to all the releases ahead! So many beautiful creations using such stunning new products! Love the bokeh stamp and that delicate die…😍 excited for the rest of the release too! Beautiful cards! I love that they are really detailed. And, by the way, love day 1 release too! Lovely products. Great start to this release. Love the new bokeh background! And thrilled for another penned elegance!! Wow, and it is only Day 1! Text and Texture: Bokeh and Happiness are definitely on my list! Happy about Happiness & Penned Elegance 2! Love the Penned Elegance! All the inspiration is wonderful! 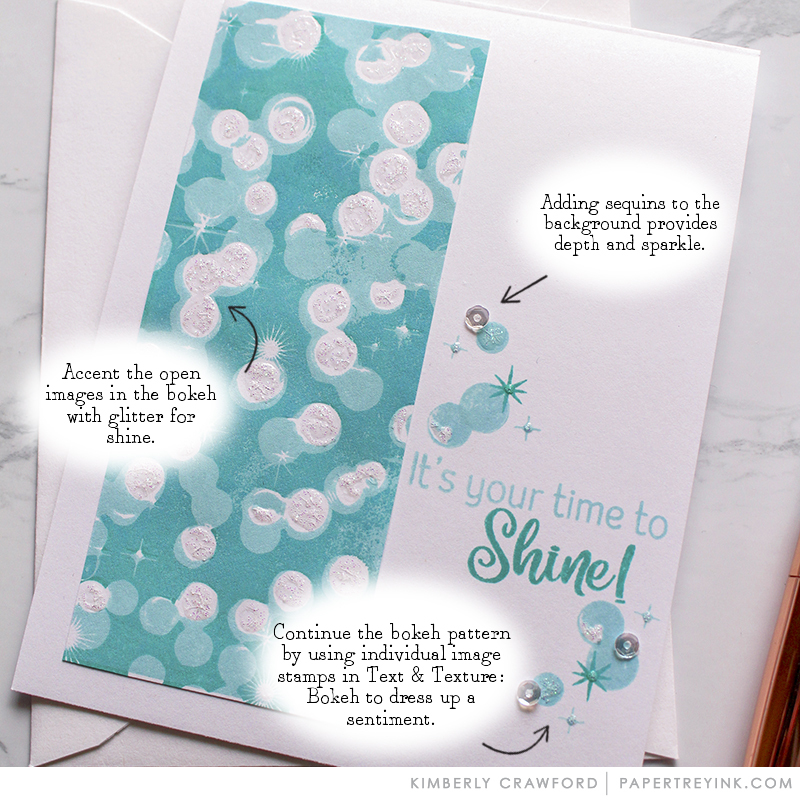 The Bokeh stamps are beautiful and useful for many occasions! The Delicates Dies are gorgeous! Great samples by the design team. WTLB: Happiness is a fabulous addition to the series. Love the font choice and (most of) the sentiments. Oh, Penned Elegance II just shot to the top of my wish list. Love it! You can never have to much happy(ness), and I’m really in love with to bokeh background set. The bokeh pattern is gorgeous! I love those delicates so pretty. Great day 1! I love the new Delicates Set… I can see many, many uses for it! I have been in the doldrums lately – haven’t created a thing – but this release could get that spark going again! I already see several things I really love today! Great 1st day! Looks like it will be another great release. I have not been a big fan of bokeh but I love the new bokeh background stamp with the sparkles. Truthfully I didn’t see anything today that I didn’t like. 🙂 Looking forward to tomorrow! Wow, there are some awesome examples today! I love the Delicates dies. So many ways to use them. Wonderful projects in today’s post. Loving the penned elegance set, bokeh background set and the delicates dies. Oh my, what a fun first day. Love it all, but I think the Bokeh background is my favorite. What fabulous new products! LOVE the new Penned Elegance & the Happiness set is perfection. I want it all!! Great fun products today! Love all 4! Words to Live By and Penned Elegance 2 are must haves! I really like the new Bokeh set! Love the delicates dies!! So lovely!! I love that the Delicates dies have both a detail layer and a shadow layer. The new text and texture is genius and I love those delicates! The text and texture is a great series-really like the bokeh addition. Can’t wait to see more as we are off to another great release. The new Bokeh set is fun! Love the projects. I love the whole day! Love the Delicates! And the colors that were used are great! Love, love, love the Bokeh! I am always looking for bokeh patterned paper, so I am really excited about this stamp set! Loving the bokeh and the sentiments that go with it! Words to Live by: Happiness?! That is a MUST HAVE for me! This release is so special already! Text & Texture Bokeh – I just LOVE how it sparkles! and Dawn’s new Delicates is so lovely! So excited! Have to say my favorite is the flower die! Love, love, love it! 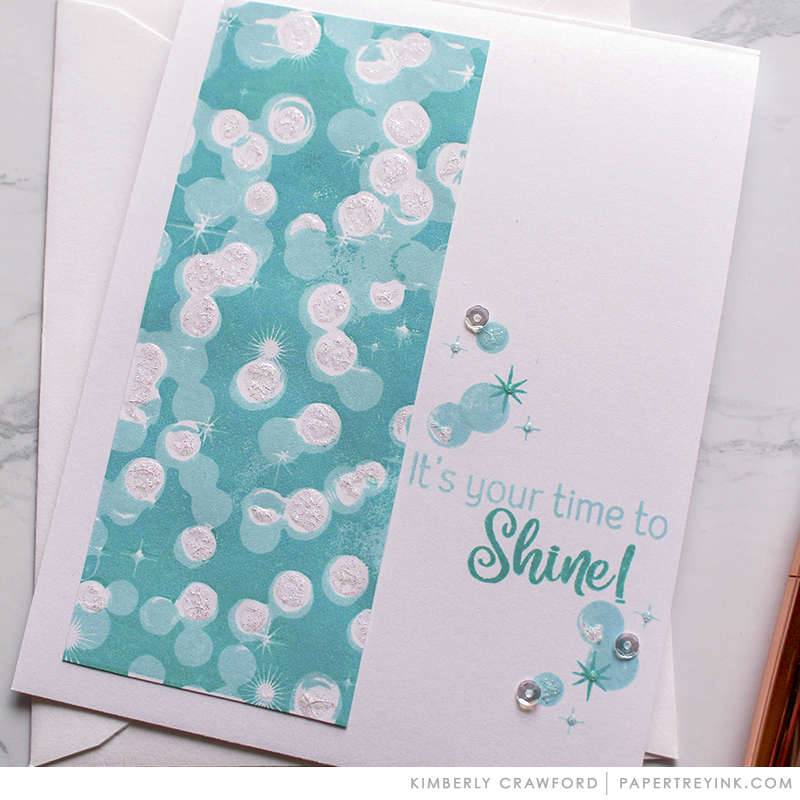 The bokeh stamp is subtle yet makes a statement! WOW! Penned Elegance II is a MUST! The Bokeh and Delicates are wonderful, too! And the wish list begins. Delicates for sure. This is an incredible start to this reveal. Love everything! Love the happiness sayings and the delicates! Wow what amazing creations! I love the ones by Melissa and Betsy!! Gorgeous cards from the team. Awesome! My favorites are the happiness sentiments and the penned elegance sentiments. Love that they come with matching dies. The Bokeh stamp looks so cool! Loving all of today’s projects. The bokeh set is exciting!!! I really like the Penned Elegance and the Delicates Dies. 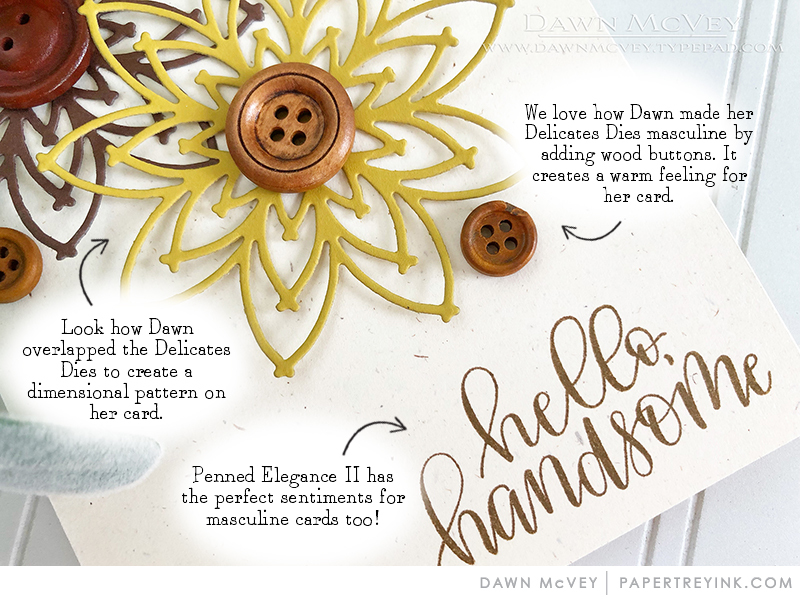 Love Dawn’s new Delicates Dies! The delicates dies are just gorgeous!!! Love love! I love all the different ways to use the Bokeh set! Love the cards the design team presented. Looking forward to another Penned Elegance stamp set. Loving the new dies and stamps! 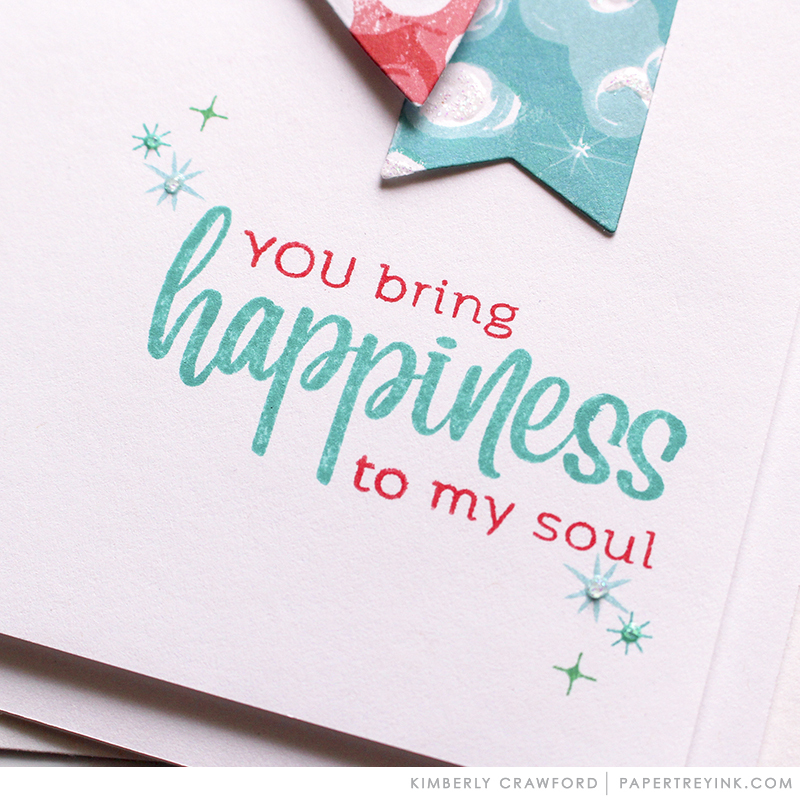 Love the new Text & Texture: Bokeh, also the Happiness sentiment! I know I would get a lot of use out of these new stamps. Very versatile! Oh I can’t wait to play with the new Bokeh stamp! Love the Penned Elegance & Delicates! Gorgeous projects! Such cheery and sweet projects today!!! I can’t help but smile! Thanks so much for sharing and inspiring!!! 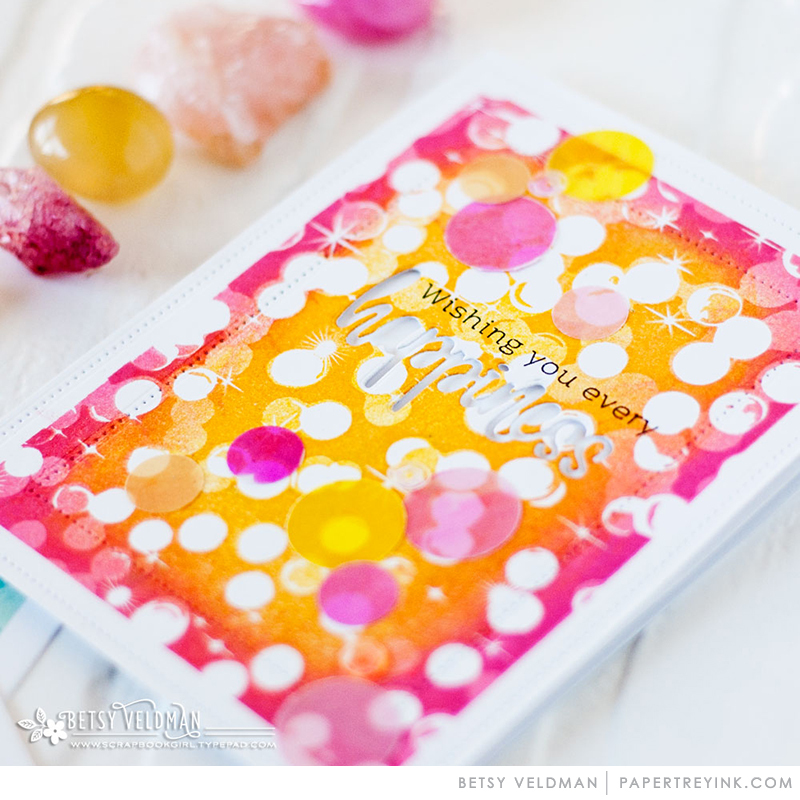 Love the new Text & Texture: Bokeh by Betsy Veldman!! So much fun inspiration in today’s release. 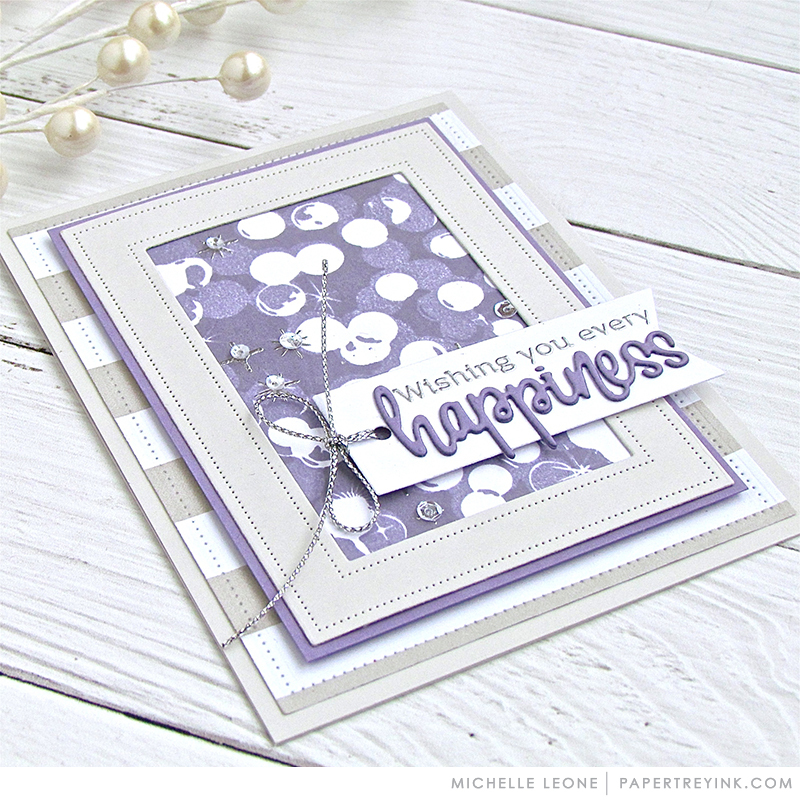 Love the Bokeh set, so excited for Penned Elegance II and the Delicate dies are great fun. Love how versatile the Bokeh background is and so for that matter the Delicate dies, which are also stunningly detailed! Well, just 1 day in and I really need Delicates, Text & Texture: Bokeh, and Words to Live By: Happiness. Thanks for the chance to win a gift certificate! Wow! Beautiful projects- lots of new products I may need! Oh my! Love that penned elegance, looks like my collection will grow! Love the bokeh background, and love “happiness” as this month’s word. Love the Text & Texture: Bokeh! How clever of Betsy to design a stamp set based on bokeh, which is my favorite photography phenomenon. Dawn’s Delicates dies are so versatile. Can’t wait to see the rest of the release in action, especially Lizzie’s Nesting Circles dies. I love it all today! Especially the team’s beautiful bokeh projects. I love the happiness stamp set and die! So many beautiful cards! I really love Betsy’s! Lovely bokeh texture and those delicates…oh my! Love the new Delicates dies. So festive! The Words to Live By: Happiness stamp and die, and the pretty Delicates dies are must haves. I keep looking at the Text & Texture stamps but don’t have one yet; I think Bokeh will be on my wish list. Those Delicates dies and the Bokeh background are inspiring! Love the colors the team used with these two. I like dies and the more DELICATE the better. Love all the sentiments. I send cards regularly to my daughter away at college and I can see so many uplifting messages in these releases. Thanks! The Delicates dies are just beautiful! Love the projects. Especially love the new bokeh. Penned elegance is just beautiful and I love the Bokeh background…simply stunning look it creates! I think the Bohek stamp could be used for multiple occasions. I love when I can get several uses out of the same stamps. Bokeh: genius idea. I LOVE IT!!! And all the cards made by the design team are stunningly beautiful. This is now on my wish list. Glad to see you’ve (PTI) expanded on the basic 1-2 word sentiments in a calligraphy style with accompanying die. “Bea-u-ti-ful! Love the new Text & Texture: Bokeh Stamp Set by Betsy Veldman! The delicates die is gorgeous! Can’t wait to get mine ordered!